Welcome to Ranger Kids Day Camp! Our desire is to help our youngest boys grow mentally, physically, spiritually and socially during their three-year Ranger Kids journey. First, we want his mind to grow strong by having him read, study and memorize Bible verses. Second, we want him to grow physically strong through exercise, fun-filled activities and proper diet. Third, we want him to grow spiritually strong through prayer, Bible study and witnessing to others. Finally, we want him to grow socially strong by teaching him how to treat others with respect and develop potentially life-long relationship (Ranger Kids Handbook, Page 7). We desire to see your boy not only grow as an individual, but also grow within their Ranger Kids group, outpost, district and ultimately throughout the Kingdom of God. 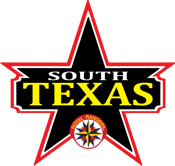 Ranger Kids Day Camp provides a great opportunity for our Ranger Kids to use the patrol system and work together as a team with other Ranger Kids from across South Texas. This event is also a wonderful introduction for those not in Rangers to see what Royal Rangers is about. 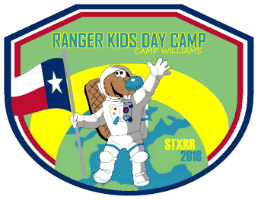 Sadly, we had to cancel last year’s RKDC because of Hurricane Harvey, but we are excited to be coming together for one big Day Camp at Camp Williams! Please set aside this date and bring large groups of boys, leaders, helpers and families. Help us make Ranger Kids Day Camp successful and our boys ready to Launch into the harvest! *Parents and spectators will need to register on-site upon arrival. Lunch will be available for $5.